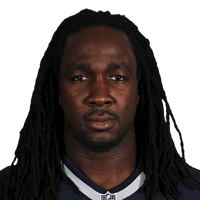 Published: Sept. 26, 2011 at 12:41 a.m.
(2:15) J.Addai left tackle for 6 yards, TOUCHDOWN. The Replay Assistant challenged the runner broke the plane ruling, and the play was Upheld. Published: Sept. 25, 2011 at 11:29 p.m.
Colts RB Joseph Addai bulled his way through for a six-yard touchdown to tie the game at 20-20. Published: Dec. 26, 2010 at 06:05 p.m.
(6:04) (No Huddle) J.Addai right guard for 6 yards, TOUCHDOWN. Published: Dec. 26, 2010 at 04:39 p.m.
Colts RB Joseph Addai busts in for an Indianapolis touchdown.